Battery powered, AAA*3 each pc (Not Included), NO Fire NO Fumes NO Fuss. 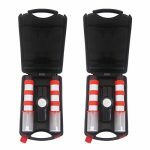 3 Operation Modes: Solid / Strobe(SOS) / Flashlight. 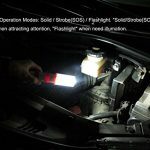 “Solid/Strobe(SOS)” when attracting attention, “Flashlight” when need illumation. 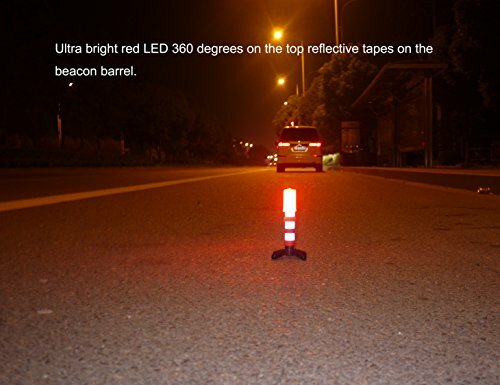 Ultra bright red LED 360 degrees on the top reflective tapes on the beacon barrel. Outstanding in emergency night, visible from 3,000 FT. 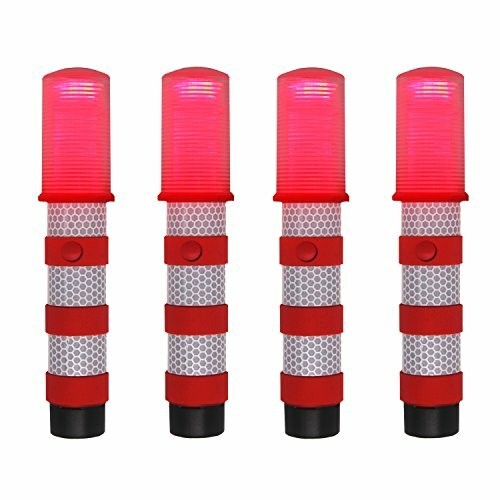 Battery powered early warning safety light, AAA*3 for each pc (Not Included), NO Fire NO Fumes NO Fuss. 3 Operation Modes: Solid / Strobe / Flashlight. 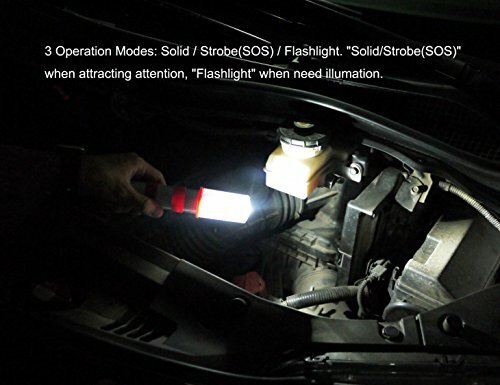 “Solid/Strobe(SOS)” when attracting attention, “Flashlight” when need illumation. 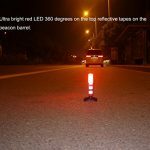 Ultra bright red LED 360 degrees on the top, reflective tapes on the beacon barrel. Eye-catching in emergency night, visible from 3,000 FT. 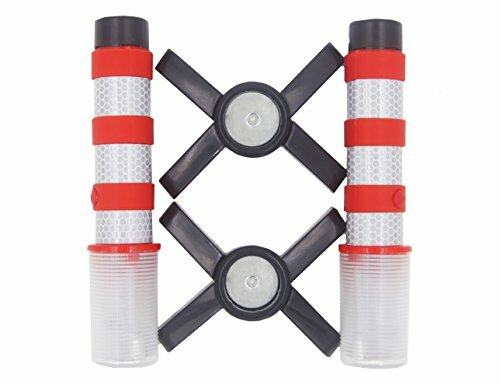 Magnetic base, free-standing on vehicles. Leave your hands off to get more help. 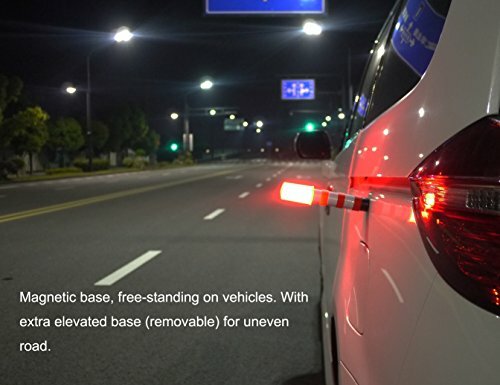 With extra elevated base (removable) for uneven road, put it at the right place to attention others. Strong durable storage case. 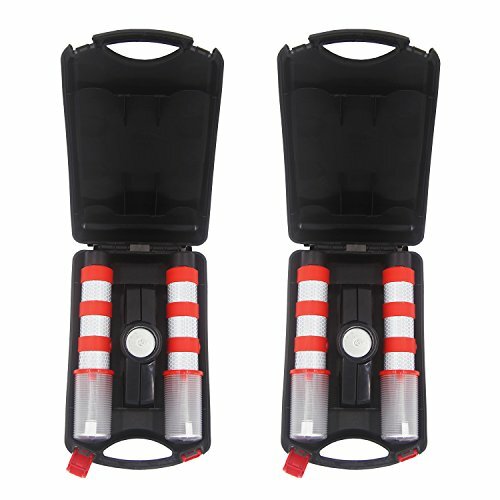 Packaged into a weatherproof case, easy and safe to go. 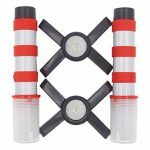 – Car repair tool kit, Camping, Natural disasters, Emergency power shortage etc. Magnetic base, free-standing on vehicles. With extra elevated base (removable) for uneven road. 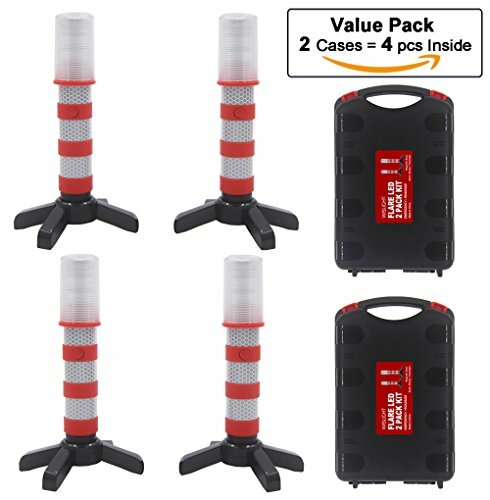 2 CASES PACKAGE, GOOD VALUE. Strong durable storage case. Packaged into a weatherproof case, easy and safe to go.